“That’s not the sound it makes when the batteries are dying,” I said. I got out of bed and stormed off down the hall with the piqued energy of a person much used to taking matters into her own hands when the man in her life fails to see the emergency. The disemboweled carbon monoxide detector lay in state on the kitchen counter. I flipped the back open, where I learned that the unit is capable of emitting a variety of noises in a variety of configurations that mean different things. A chirp every minute means you need to replace the batteries. Three chirps every minute means the unit is malfunctioning and you need to replace it. Four loud beeps followed by a pause, then repeated, means CO gas has been detected and your family is about to die. And five beeps every minute means the unit itself has died. I was pretty sure I’d heard the four beeps, the pause, and then another four beeps. 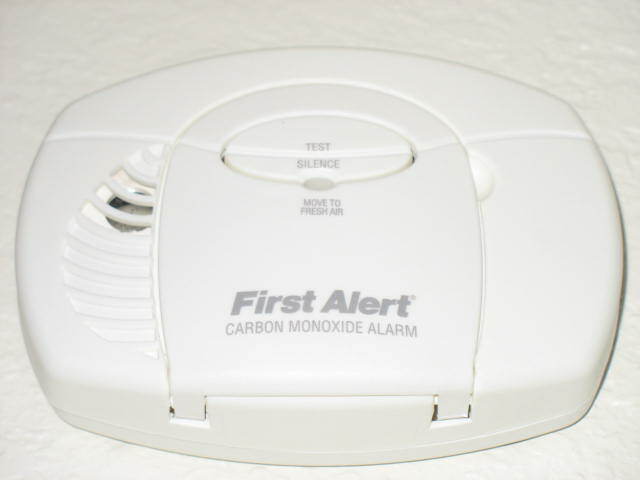 We were going to have to rustle the kids out of bed, find someplace to be for the night, and call the — who do you call when your CO detector emits the four beeps at you? By now Dan had made his way down the hall too. I explained about the chirps and the beeps. “It was just chirping,” he insisted. “It’s a symptom of being awake at 3 o’clock in the morning,” he countered. “The fridge?” I asked, pointing to our absurdly noisy refrigerator. It certainly sounded like it was emitting something. By now I’d looked up “carbon monoxide” on my laptop and confirmed that it is indeed a product of combustion and does not spontaneously appear in the absence of said chemical reaction and could not be produced by any of our non-gas appliances or electronics. He agreed, handling the CO detector while I took care of the ventilation. I will confess that when I went into our boys’ bedrooms to open their windows, I checked to make sure they were still alive. I hadn’t done that since they were infants. Their long teenage bodies didn’t look very fragile anymore, but my heart still contracted with a fierce maternal something when I looked at them sleeping. And then we went to bed. Dan was asleep in an instant, as always. I had trouble falling back to sleep, but I always have trouble falling asleep. The alarm did not sound again. Obviously, we all woke up again the next morning. The house was nice and cool from having so many windows open all night. Since then, a nice man from PG&E came and fixed a gas leak at the water heater so small it barely registered on their instruments. He then checked the whole property and confirmed there were no other leaks. 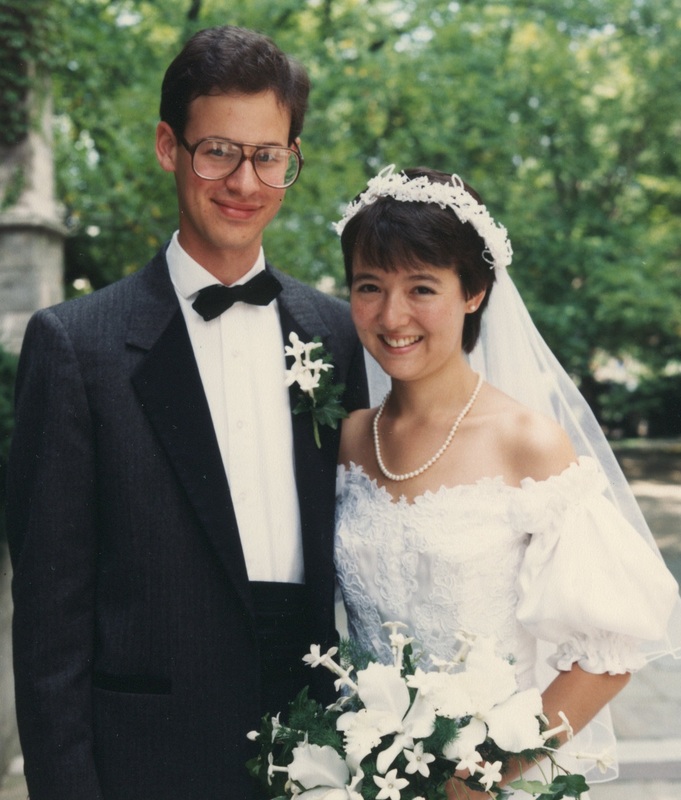 So why am I telling this story on the occasion of the 25th anniversary of my marriage? Well, mostly because it’s funny. That seems reason enough. It also captures our relationship to a T: My over-reaction. Dan’s under-reaction. The way we’ll disagree about anything — not just over how to proceed, but even what’s real (chirps? beeps? four? five?). We’ve been over this territory so many times, it’s — I was going to say, it’s not even funny, except that it’s actually pretty funny. But the story doesn’t only capture our dysfunctions. It captures our functions too. We figured it out that night. Together. With some testiness but little acrimony. And a little help from the Internet, of course; we both have a deep and abiding respect for empirical evidence and logical arguments. The thing is, between my tendency to maximize every perceived problem and Dan’s tendency to minimize them, we usually manage to average somewhere near rational. Dan’s immediate concern that night was to go back to sleep; mine was for the four of us not to die. (Actually, it occurs to me these are often our chief concerns.) Anyway, for the balance of that night, we both got what we wanted. The episode also made me appreciate the extent to which we comfortably rely on long-established household choreographies. When the alarm went off, we both knew Dan would get up to check it. When I went marching down the hall to investigate, I knew he would follow. And when we decided what to do next, we didn’t even have to talk about who was going to reset the CO detector and who was going to open windows. We knew. That kind of knowing may be one definition of home. So happy anniversary, my love. Here’s to another quarter-century of being home with you. Ha! Thanks, Joe! I wish I could say the same for myself! Happy Anniversary, you two. I remember that day well; it made me happy also. Thanks, Laurence! We all look so impossibly young in the photos. Fantastically funny! I love your writing style, blends the narrative of fiction and characters into story. I could have had only the first half without the explanation at the end of your relationship, that’s how much I felt I knew you two just from your sparring dialogue. The part about checking to see if you sons were still alive, and the part about the refrigerator emitting carbon monoxide. So funny! Thanks for sharing. Wow, Naomi, reading this put me right back at Princeton and the Stanford Center, hanging around you guys. Obviously, you’re still as much in love as ever! Congratulations on a quarter of a century! terrific story – loved it! Happy anniversary, Naomi and Dan. Maybe it’s the 3 a.m. moments that really define a marriage: beeps, chirps, screaming babies, broken plumbing, neighbors partying, etc. You captured this vignette so well, I could picture it perfectly and hear both of your voices. Nice job. I truly enjoyed your story and laughed several tears thinking you were writing about me and my husband (going on a mere 13 years). 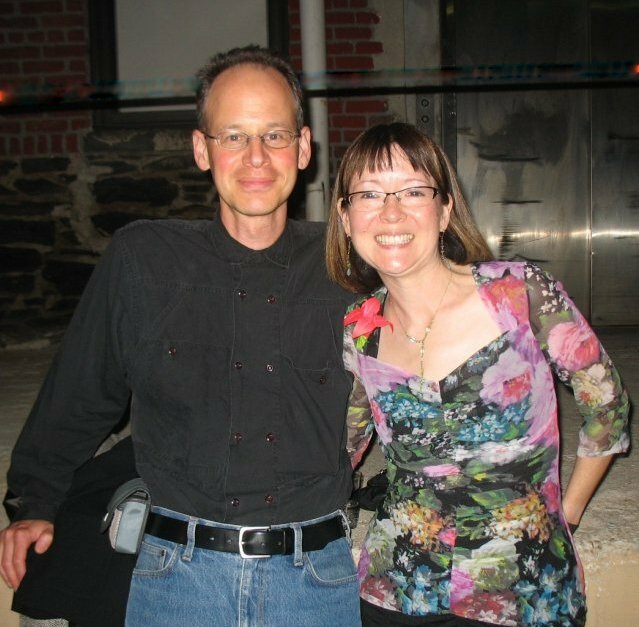 Wishing you and my old friend Dan (from days long gone in SF) a very happy anniversary and many, many more. Thanks, Claudia. I love “laughed several tears”! Beautiful post, Naomi, and congratulations to you both. Hi Naomi. I haven’t visited your blog in awhile but I am glad I did today. So funny, and so warm, and so real. Happy anniversary to both of you! Pretty funny indeed, Naomi. And sweet.